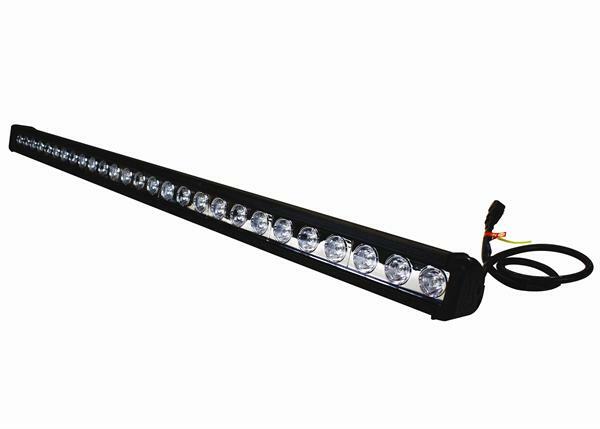 This Single Row 35 inch LED Light Bar is equipped with the latest LED light and reflector technology. This light bar has 15 degree reflectors which makes a broader light projection path compared to competitors 6 degree reflectors. These LED bulbs produce 180 lumens each and also utilize a 100% optically pure acrylic lens that will last through the roughest conditions. The Light Bar housing is constructed from 6061-T6 material and completely sealed making it both water and dust resistant! With low power/amp draw, loads of features, and unmatched style you will have one of the best performing lights on your UTV. 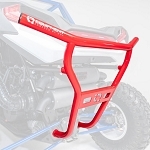 Upgrade your UTV with this 35 inch LED Light Bar!